Nowadays Government wants to make cities smart in the path of Modi. But do you know how much Geo-spatial technology will contribute to making your smart city? Every area ranging from urban administration and unmanned aerial vehicle technology to missile, e-governance and even advertising and marketing today depend on Geo-spatial data. Most of the countries in the world have started specializing in Geographical Information System (GIS) after understanding its future impact. 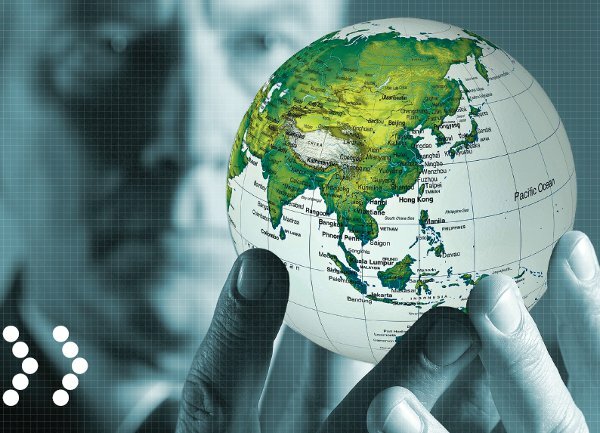 It is a key emerging and evolving industry in the 21st century that offers an excellent career avenue with immense potential and many as-yet undiscovered opportunities like in spatial data visualization, spatial Intelligence, augmented reality in Geo-space and conservation of the earth data. In this series, I will describe my journey around Europe while pursuing my internship at Leibniz University of Hanover, Germany. After my Intern in Goa, I always wanted to experience the life outside India and mostly in a developed country. For getting this Internship, I had to mail various institutes related to my specialization – Geo-Informatics. I got this great opportunity when I was selected for the research internship in Institute of Cartography and Geo-informatics. So now I had to arrange for my accommodation. By checking various websites and resources I came to know other few Indian students going to the same university, so we finalized the accommodation with a German landlord lady. Now came the hard time as we had to pack our bags and also consider things that would help us if we know about them in advance. Firstly, I came to know that only 2-pin plugs can fit the power sockets in Germany so we had to buy the travel adapter. Secondly, I had to download various phone apps which would be useful there which I will describe in my new blog later. Lastly, as Hanover has shower so had to buy the umbrella too. With that basic things were all packed to leave for the airport on 10 May 2015. My flight was at 4:00 AM. Please check out my Personal Website. Your views will be really appreciated. In this blog, I will describe the work of various Spatial Industries in the 21st century, which have the idea to harness the power of Spatially data for map entire world around us. If you want to know what that power is then read my previous article. The Spatial Industries before 21st century has been a niche one but things are certainly changing after Google’s entry in the mapping industry back in 2005 with Google Maps which was an indication of the power of spatial use. Also according to the US Department of Labor, Geospatial technologies, along with Nanotechnology and Biotechnology, are three most important high-growth industries for the 21st century. Be it Self-driving cars or UAVs or Wearables or Virtual Reality or Citizen Sensors that were showcased as the powerful 21st century products after computer and mobile, they all have a spatial connection enabling the next generation of informatics. That means maps, which are the representation of spatial connection, are essential for almost any kind of hardware today. What is Geoinformatics?? According to Wikipedia, Geoinformatics is the science and the technology which develops and uses information science infrastructure to address the problems of Geography, Geosciences and related branches of engineering. It includes all the fascinating things which you can think of like map which is the most used things in one form or other by humans since stone age, analyses on human-computer interaction with both wired and wireless networking technologies, urban sustainability planning, augmented reality and satellite systems and its data, space exploration and web mapping like google map, google earth etc. So then why Gamification is required to develop it? First let’s see what is gamification, It is the use of game thinking and game mechanics in non-game contexts to engage users in solving problems and increase users’ self-contributions. We loved games due to these game mechanics only.